Belle and Sebastien, an unusual tale of friendship finally brought to the big screen. Every year, the Lumière festival takes care of the little ones with “Lumière for Kids,” a big screening at the Halle Tony Garnier with an audience of 5000 children. In 2010 we had Paul Grimault’s The King and the Mockingbird, in 2011 was Yves Robert’s War of the Buttons while Steven Spielberg’s E.T. played in 2012. 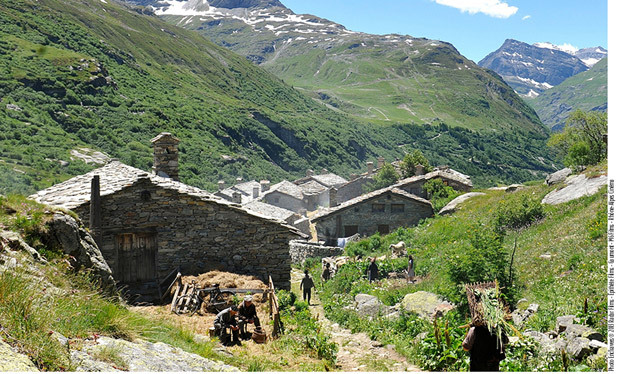 This year, with thanks to Gaumont, Nicolas Vanier’s highly anticipated big-screen adaptation of Belle and Sebastien will premiere at the Lumière festival, in the presence of the filmmaker. Following The Last Trapper and Wolf, this is Vanier’s third feature film shot amidst the wilds of a natural world whose preservation he fiercely defends. His team has developed incomparable experience shooting films in these kinds of environments, combining action and comedy. His vast personal experience with dogs, mountains, snow and winter were put to fine effect in the creation of an authentic, epic film experience. 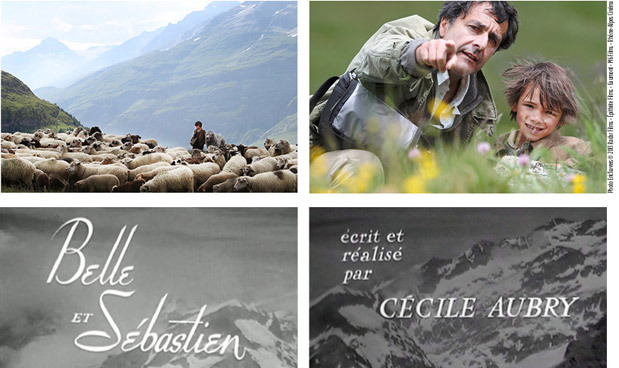 Shot against the magnificent scenery of the Alps, in Haute Maurienne Vanoise, the films provides a privileged glimpse into the wild life of the mountains. Led by leading French specialists in the filming of animals, a team captured breathtaking images of the battles between chamois, the courtship rituals of grouse, of deer squalls, of marmots escaping eagles, and, amazingly, a herd of ibex galloping through fresh snow. The team took its time, such a rare prerogative in todays film industry, to capture the exceptional light found so fleetingly in mountain landscapes. Based on the TV series Belle and Sebastien, written and directed by Cécile Aubry, the film tells the poignant and funny story of a Great Pyrenees and a little boy who become unwitting agents of a war they know nothing about. A Radar Films, Epithète Films and Gaumont production. A witness to climate change in the Arctic Circle that he has traveled for over 30 years, Nicolas Vanier has become involved in numerous causes aimed at taking concrete steps to reduce man’s carbon footprint. Along with his film, he will create educational programs about the environment, like those he has produced on his expeditions in the Arctic Circle, or in his films. 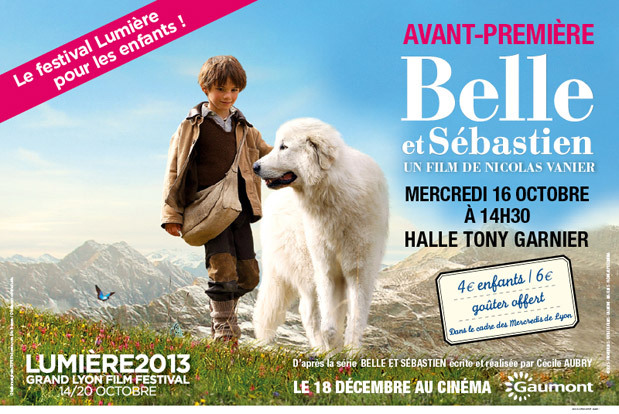 Belle and Sebastien will be released in theaters on December 18, 2013. The festival once again partners up with Les Toiles Enchantées, the association created by Gisèle Tsobanian and chaired by Alain Chabat, whose purpose is to organize screenings in pediatric hospitals and specialized establishments for sick or disabled children and teenagers. The festival will propose the screening of a film at the Women and Children’s Hospital in Bron on Wednesday afternoon, at the same time as other children are discovering the film at the Halle Tony Garnier. The film will be presented by one of the guests of the festival. With the support of BNP Paribas.